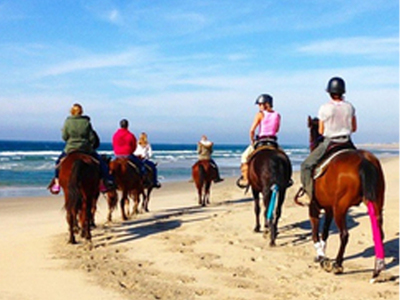 Put on your cowboy boots and enjoy the beauty of San Diego by horseback. 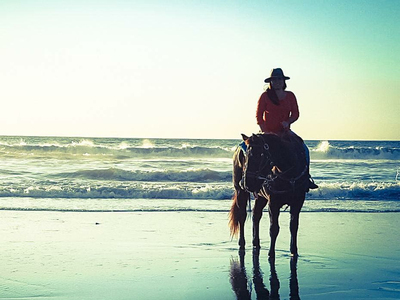 These stables offer relaxing rides from the beach, through canyons and in the mountains. Please check out their websites for current rates and specials and feel free to contact us if there's a rental stable that we've missed. 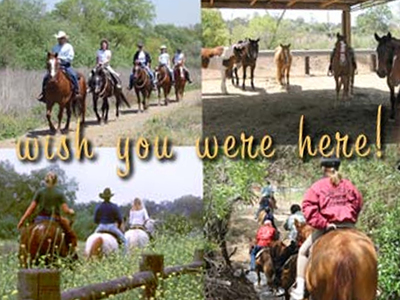 Blanco Brothers Ranch provides horse rentals for riders of all levels. They are currently offering their 3 hour Imperial Beach ride for $100 per person. 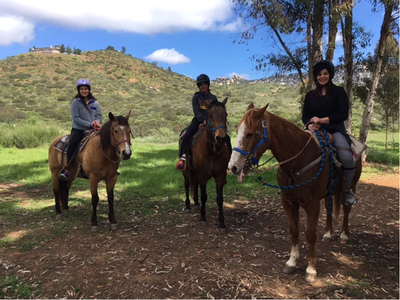 Grindstone Farm Riding Academy and Horse Camps in North County offer 1 hour trail rides for $65 per person and 1.5 hour trail rides for $85 per person or $150 per couple. A mandatory evaluation lesson is required prior to the trail ride. 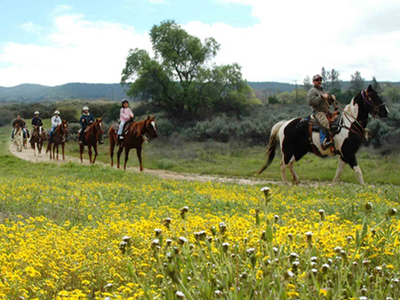 Poway Trail Company offers trail rides through some of Poway's most beautiful scenery. Wrangler's take special care in matching horses with the rider's abilities. They offer ranch rides, destination rides and half-day rides. San Diego Beach Rides offer guided rides through the River Valley Nature Preserve as well as swim adventures and sunset rides. A two hour private, guided ride with approximately 30 minutes on the beach is $100 per rider. They are open 7 days a week. 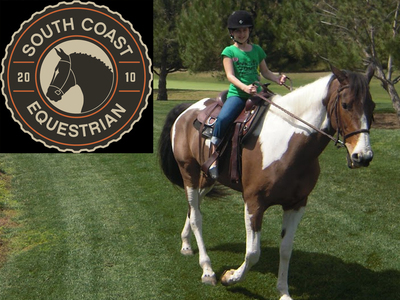 You can ride through Los Peñasquitos Canyon Preserve and enjoy the beautiful scenery at South Coast Equestrian . Cost is $135 for 1 hour, $155 for 1.5 hours and $205 for 2 hours. Surfside Ranch provides a relaxing adventure through beautiful nature trails or rides on cool sandy beaches. It is open every day from 9 am until dark. One hour trail rides are $50 and two hour beach rides are $100 per person. 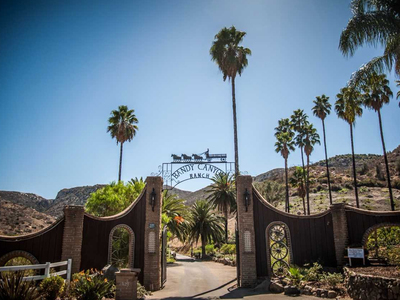 The Ranch at Bandy Canyon offers 30 minute trail rides through Bandy Canyon. Warner Valley Stables , located at the Warner Springs Ranch Resort , offers riders of all levels miles of scenic trails through old oak groves across a variety of terrain. Ride horses through a beautiful vineyard in Temecula at Wine Country Trails By Horseback . Rides are offered Wednesday through Sunday throughout the day and some of their packages include wine tasting for adults.